Somewhere just below planning my travel and actually traveling is mapping my travels. It’s something I started last year, with my flights mapped in OpenFlights and my hotel stays logged in a dedicated Google Map (SEE: Map of all my hotel stays). During a work trip this past year, I realized I hit a milestone: my 150th unique hotel. I’ve stayed in a few more than that, but I drew the start of the timeline at 2012, when I got married. I wish I could say my 150th hotel was in exotic location across the globe, but no. The stay was as mundane as they come. I spent a single night at the Comfort Inn Troutville, just north of Roanoke, Virginia. A few nights prior to that I’d stayed at another Comfort Inn in Charlottesville (SEE: Comfort Inn Monticello Review). My guess is that the majority of many people’s stays would *not* be in their home state. But given how large California is and that we live in one remote corner, I’ve had many, many stays in the middle (yes, the SF Bay is the middle) and southern parts of the state. Now on to the broader takeaways from all my stays. When I was new to the travel hacking hobby, hotel loyalty programs weren’t even on my radar. Economy flights were expensive enough for a young couple with one of us still in school, and I was entirely focused in finding ways to accrue enough miles for these. During our honeymoon, my wife and I stayed at the most budget place in midtown Manhattan. Yeah. Wish I would have been more into this hobby back then. But we did get $3,000+ of free Amtrak travel on that trip! But I digress. Back to hotels. Things changed after a couple years as I picked up the Chase Hyatt Visa, the IHG Mastercard, and the Starwood Preferred Guest Amex. I began to see the value of hotel points, and inevitably found myself drawn to upscale places. We ended up staying at places like the Westin Harbour Castle in Toronto, the Park Hyatt Milan, and the Intercontinental Carlton Cannes. I’ve even had a paid night at the Intercontinental Mark Hopkins in ludicrously expensive San Francisco (turns out basically nothing is going on Thanksgiving week and rates are dirt cheap). All these stays slowly proved to me that a consistent mid-range hotel is the perfect stay. So-called “luxury” hotels often nickel and dime you for everything. Sure, the property might be nice, but I found that short of having top-tier elite status, the luxury properties don’t offer much more than room. Sure, the shower at the Park Hyatt Milan is the most amazing I’ve ever experienced. But it is worth 30,000 Hyatt points per night? My favorite brands are Hyatt Place, Hyatt House, Residence Inn by Marriott, and Staybridge Suites. I’m also partial to Doubletree, Hilton Garden Inn and Holiday Inn Express. Why? They all offer comfortable rooms, typically have a pool, and nearly all offer free breakfast (with a single credit card, the Hilton brands do, too). In short, they are great family brands (SEE: “All I want is a swimming pool and a waffle maker”). While there is part of me that enjoys a high-end place from time to time, they usually just aren’t that practical. So while the Park Hyatt Paris Vendome looks nice, it simply doesn’t pencil for 30,000 points per night. I remember the first time I was bitten by a resort fee. I didn’t even know such a thing existed. But soon I knew that I needed to look for them whenever I’m considering booking a resort-style property. And sometimes even when booking a generic property. The resort fee has evolved into the “destination fee” which is being charged by even airport hotels, something I found out when I visited Charleston, SC in December. What is the point of a free stay if you still have to pay $20-$40 for a resort fee that covers things like pool access, a daily bottle of water and free local faxes?! Even if you don’t use anything covered by the fee, they are still mandatory. KILL RESORT FEES! Back to resort fees. I actively go out of my way to avoid hotels with resort fees. One of my favorite features of Hilton award stays is that resort fees are waived. It’s amazing. You actually get to enjoy your stay for $0, or pretty close to it. Hyatt also waives resort fees on free night awards for all members. Maybe there is some hope that this frustrating industry policy will eventually be reversed. In general I try to book solid mid-scale brands using either points or cash, but sometimes I’ll set aside the points and book a budget motel. This happens mostly when we road trip and can score a night for $60 or less in some rural location. Spending a night at an Econolodge or Super 8 is not beneath me. It not be the most comfortable stay, but I can usually still sleep well enough (the kids always do), and the savings is very much worth it. I’m also okay booking a budget stay if it presents an opportunity to earn points through a promotion. I’ve used the Wyndham Masterpass promotions to earn a couple free nights. 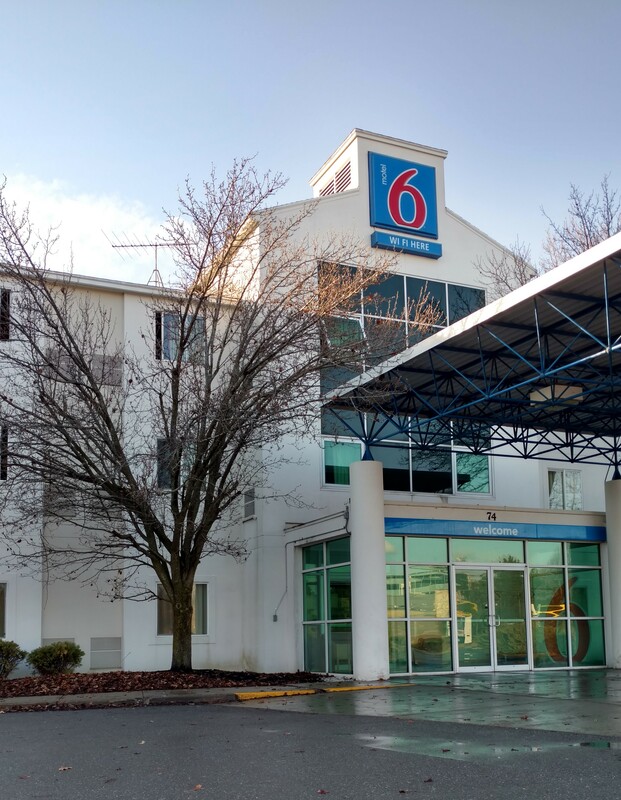 I chose to stay at a Super 8 instead of the Sheraton one night during a work trip to earn 7,500 Wyndham points. Likewise, the Choice hotels promotions where you could earn 8,000 points from two stays have been valuable. Sometimes a promotion plus a super cheap rate tips the scale toward a budget hotel as the best choice. The benefits of elite status differ widely across hotel chains, but some are very much worth acquiring. In particular, Hilton, Hyatt, and Marriott status can all provide excellent benefits if you have the means to be loyal to a specific chain. Earning mid-range Hilton status is incredibly easy, as you can enjoy Gold benefits simply by holding the American Express Hilton Ascend card. The premium Hilton Aspire card is even better for the frequent Hilton guest, as it offers complimentary Diamond status. Generally, top-tier status is the one worth the most, but it might require the most out of pocket to acquire. I’m not a fan of so-called “mattress running” for status if it means shelling out a bunch of money needlessly. But if it means spending a bit more to stay loyal to a particular chain in order to enjoy perks like free breakfast and excellent room upgrades, it is arguably worth it. I’ve bounced around so far, leveraging status matches and challenges to always have top-tier status with at least one chain each year. However, I’m making 2019 the year of Globalist, selectively planning trips where I can leverage cheap Hyatt hotels (usually awards) to rack up the elite nights. The new World of Hyatt Visa is also a game-changer. At this point I’m pretty settled on my hotel loyalty strategy. Luxury stays no longer hold the sensational appeal they did just a few years ago when I was fairly new to this hobby. Mid-range places are now the typical stay, since they typically offer free breakfast, plenty of room, and few (if any) added fees. What are your thoughts after your own hotel stays? Let me know in the comments. Great post, and I completely agree with your overarching philosophy. What are the best benefits of Globalist? Is it possible to earn that status primarily through stays that are booked through points? How helpful is the new Hyatt card is obtaining Globalist status? Yes! Both paid and award stays count toward the total nights needed for Globalist. The new World of Hyatt card is also a game-changer, as it earns 2 elite nights for every $5,000 you spend on the card. My prefered IHG chain is Candlewood suites. No waffle maker but I can cook my favorite meals. I normally take a cooler of premade food with me to either heat on the stove or the microwave. Candlewood isn’t bad. Unless it is the one in Texas where I had my first experience with them. No A/C in Houston is no bueno. I completely agree and wanted to mention the staff is friendlier in mid-range hotels, in my experience many, but not all upscale hotels can can treat you like a nobody and seem miffed at the slightest request. A recent stay at the Budapest Hilton was a notable exception. Not sure I agree completely. I don’t find staff experience at mid-range hotels anything to write home about. But I do find that luxury hotels are a mixed bag. Sometimes it’s great. Other times it’s like they know I’m a country-bumpkin cheapskate just here for the free room. Agree with this so much. We rarely value “luxury” with hotels; the only time I can remember being satisfied by paying for “luxury” was getting a bay view in Venice (and even that was only $170). Mid-range and budget provide a good bed and a good location, and if it comes with breakfast then it’s top-of-the-line. Nice! Venice can be pricey. Free breakfast is a huge perk, especially when traveling with a family, and I prefer to target places that offer this to everyone. Ian, nice take on your reasons why you choose the hotels you do. I never could figure out why people do mattress runs. I know why, but is it worth spending the money? I do enjoy the odd luxury hotel stay but that’s when I’m traveling with my wife. She deserves a few perks once and again. Both of us often stay in mid-range hotels if they have breakfast. I hate having to look for someplace for breakfast and I don’t like paying car payment prices for breakfast in a hotel. I don’t know about you or your readers, but I am finding that all hotel rates have become expensive in the big cities. I agree with city rates. It’s rare to find anything but a *really* budget place that I consider affordable. Mattress running is only worth some money if you’re sure you’ll make up the perks. In general, having to run more than just a few nights can’t possibly be worth it. But if I was 3-5 nights from Hyatt Globalist, I’d probably consider it, since you get a Category 1-7 free night (worth $300+), free breakfast at Hyatt hotels (assume $10 per person, times 10 full-service stays per year, so $200), and other perks (waived parking fees and extra points, maybe worth another $200), then there is an argument for it. I always put the realistic, what-I-would-have-paid prices on things to make this determination. In that same vein, valuing the free night at $300 might not be fair, as spending $300 out of pocket for one night of hotel simply won’t happen for me. Haha, Hyatt place is my favorite mid range hotel. And I also think their breakfast is more delicious than Hilton mid range hotels. Only problem is Hyatt’s location coverage. I really thought collecting all the SPG, Hilton, Marriott and Hyatt miles traveling for business with the company paying was going to send me to all the luxury hotels when I retire…..but, now that I am ‘retired’ I find myself being a ‘consultant’. So now i am using all those hundreds of thousands of miles to get free rooms (and flights) so I don’t have to pay the cost. It’s now a new fun game. Instead of trying to get upgraded rooms to concierge level or fly on flights with upgrade potential, I am using the points to get cheap travel!